Online Poker Games are very similar to traditional Poker Games except you cannot see your opponent. 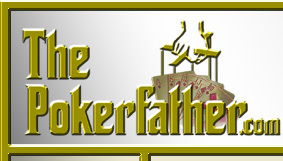 Most online poker sites offer the same poker games as traditional land base casinos. 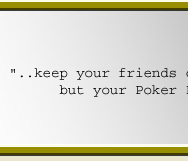 The more popular online poker games includeing: Texas Hold'em Poker, 5 Card Stud, 7 Card Stud, Omaha, and Omaha Hi/Lo. If you want to learn more about poker games, including Hand Rankings, Poker Odds, and Poker Rules please read on as we have information covering all aspects of all poker games and poker rules. In poker, each card is given a specific ranking. This ranking is as follows: Ace (the highest), King, Queen, Jack, 10, 9, 8, 7, 6, 5, 4, 3, 2 (the lowest). However, Ace, contrary to the rest of the cards, may alter its features and become the lowest card, depending on the patterns used. In standard poker, there are usually 52 cards, but when playing some variation of poker, wild cards such as joker may sometimes be added fluctuating the total of cards. There are four suits in poker (spades, hearts, diamonds and clubs). No suit is higher than another. All poker hands contain five cards, the highest hand wins. The use of Wild Cards depends on the poker game played and on the variations; wild cards take on whatever rank or suit you want it to take. A wild card can either be a separate card added like a joker or you may specify a certain card in the standard deck to be wild. The number of cards dealt is dependent on what type of poker game you are playing: 5-card stud, you are dealt five cards and 7-card stud, you are dealt seven. Five-card draw is the standard poker game where 5 cards are dealt to each player face down. 1. 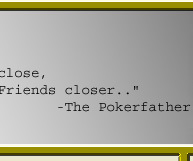 If the first hole card dealt is exposed to all players, the dealer must reshuffle and deal again. 2. If any other hole card is revealed during the initial deal, that card will be taken by the dealer and replaced with an unseen card. The revealed card will then become the burn card for the flop. 3. Each player is responsible for protecting his or her hole card. They must either put a marker on top of them or make it clear somehow that they are still in play. If a situation arises in which a player’s hole card is not marked and the dealer takes them, that player is out of the hand. 4. If any sort of error occurs in the dealing of the flop, it must immediately be reshuffled and re-dealt. 5. Whenever a dealer turns a board card before a betting round is finished, it must be removed from play for that round. 6. When a player reveals their hole card, they must not allow them to touch any of the board cards. If the cards become mixed with the board card (even if it is possible to distinguish and remove them), the player’s hand is forfeited. Please Note: Some of these poker rules may not apply to online poker games because you can not physically touch the poker cards.